A new fence can be a great addition to any home owner’s property. Not only are you able to gain privacy with it, but it can increase the feeling and security around the home. Fences serve a multitude of purposes and while you might be happy about getting one, your neighbors, on the other hand, might be more against the building of a fence than anything else. 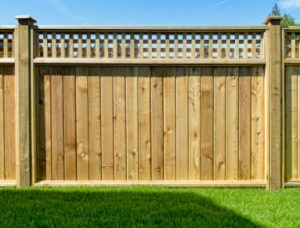 There are ways you can approach your neighbor and get them to join in on your Fence enthusiasm and even convince them to help split the costs with you. Where can I find someone to build a fence reasonably? If you’re in the market for a fence, whether it be a wooden fence, Vinyl fence, or even a chain link fence then looks no further. Northern Colorado Fences located in Fort Collins, Loveland, and Greeley is the perfect place to go. There is no real way to determine what the cost will be without scheduling an appointment so someone can come and measure the land as well as where you want it to be. However, you may also go online if you already know the dimensions and get a free estimate based on that information. Great, so you want a fence, but your neighbor isn’t exactly thrilled. Fortunately, for you, we’ve come up with a great way to approach that neighbor and get them on board as well as convincing them to help with the cost. We feel there is an approach to everything and as long as you approach someone in the right way, with useful and relevant information, you can convince them to consider things from your perspective. Chances are, if you can find a way to get what you want and it benefits them too (in this case your neighbor), then you’ve already got one foot in the doorway of success. Understanding the fencing laws before you talk with your neighbor will also be beneficial. Many areas in Colorado are faced with the problem of homes being built fairly closely in proximity to one another. This allows developers to add more homes to a development, and create larger neighborhoods which of course means more money for them. Unfortunately, for those who buy these homes, this means that they have little to no privacy and not really much room to work with when it comes to utilizing the yards which are typically shared. The great thing about this is you can approach your neighbors and let them know that with the fence you both will have privacy, and your own sectioned off yards. This can be pretty appealing and if it’s something mutually wanted, you can approach them with inquiring if they’d be willing to help. Since it’s something you’re both benefiting from and wanting, chances are good they’ll be willing to help out if it means privacy, private yard space, and no more having to divide up the backyard. Don’t forget to have a discussion on the type of fence will work best for you both.